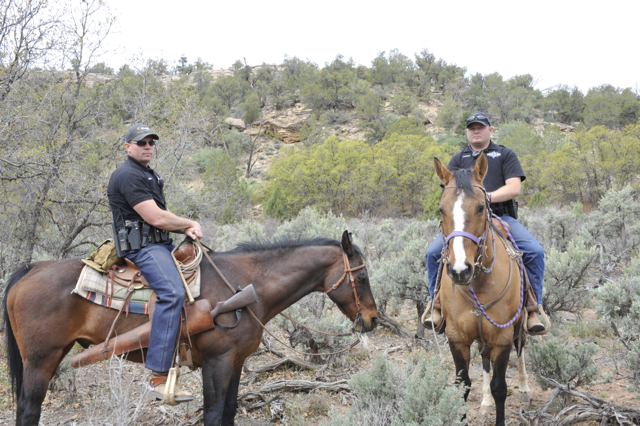 ST. GEORGE — Motorized access to a road on federally managed public land in southeastern Utah continues to be a source of contention for area residents, local government officials and the federal government. San Juan County filed a lawsuit Wednesday in the U.S. District Court for Utah seeking right-of-way access to a road and a system of off-highway vehicle trails through Recapture Canyon east of Blanding. The road was closed to motorized vehicles by the Bureau of Land Management in 2007 to protect ancient Native American cultural sites and artifacts. 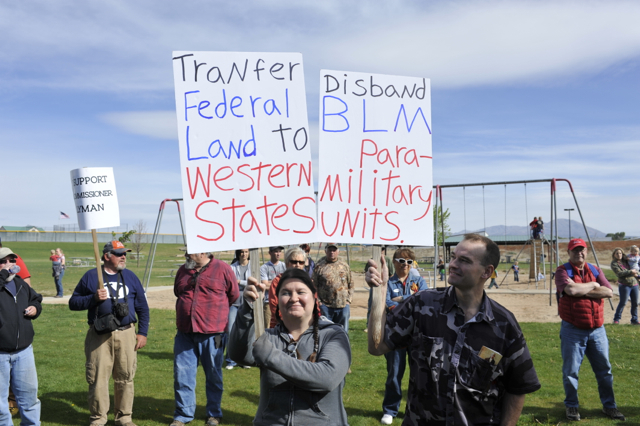 A high-profile protest of the closure led by San Juan County Commissioner Phil Lyman occurred in May 2014 when area residents, San Juan County Sheriff’s deputies and out-of-state protestors, including members of the embroiled Bundy family, rode OHVs, all-terrain vehicles and horses through the canyon. Lyman was later found guilty of federal misdemeanor counts of conspiracy and driving motorized vehicles through public lands closed to vehicle use. The road, referred to as County Road D5314, originally acted as a traditional thoroughfare used by Native Americans in Recapture Canyon. In 1886, the thoroughfare was mapped by the U.S. Army and described as a “road” in official Army maps, according to the lawsuit. The land surrounding the road was claimed by the U.S. government when Utah was granted statehood in 1896. In the lawsuit, the county contends that the road was established more than a century ago for multiple modes of travel and uses and enjoys right-of-way protections under a federal statute granting public access to roads established prior to 1976 for the purposes of promoting settlement and commerce in western land. The BLM argued the closure was essential in order to protect “irreplaceable archaeological treasures.” The canyon houses ancient Native American dwellings and artifacts. 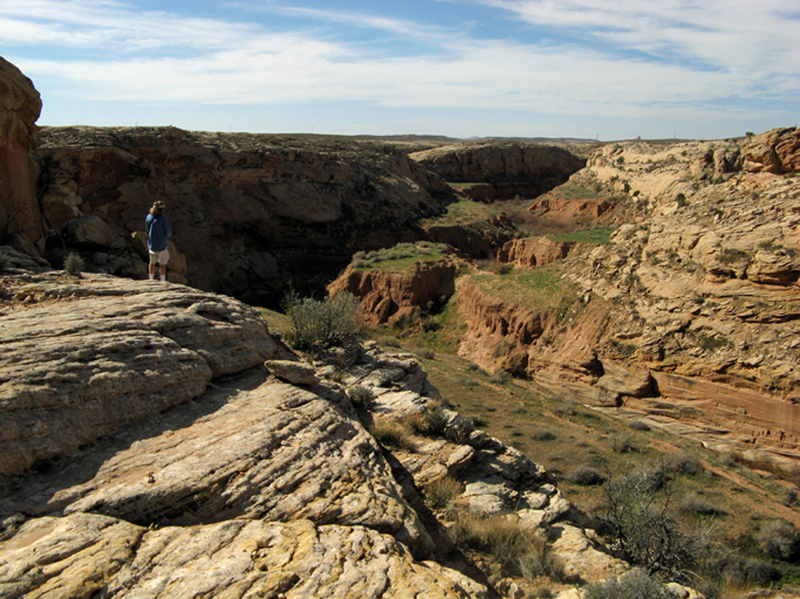 According to the Southern Utah Wilderness Alliance, several archaeological sites were damaged in 2005 after an OHV trail was “illegally” constructed in the canyon. While motorized travel through the bottom of the canyon remains closed, Interior Secretary Ryan Zinke announced in April that over 1,800 acres along the canyon’s rim will reopen to OHV use. “Allowing ATVs and other vehicles in Recapture Canyon will open up opportunities for people to enjoy our public lands while still protecting the cultural and natural resources that make the place special,” Zinke said previously. The road through the canyon is still open to non-motorized forms of travel.